You are here: Home / Announcement / Tell NCD its policy priorities should be! Tell NCD its policy priorities should be! 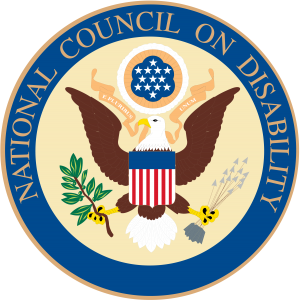 In two weeks, NCD will host its next quarterly Council meeting in Washington, DC during which time it will discuss and decide its policy priorities for the next fiscal year. The Council wants to hear your thoughts regarding the slate of proposed projects under consideration. A summary of proposed topics follows. Please consider joining the meeting during public comment (by phone or in-person) or sending us an email ahead of the meeting, so the Council Members are aware of your votes before the vote. Instructions on how to share your thoughts is at the end of this post. In 2018, NCD has already released six policy reports – five on the education of students with disabilities (English learners and low-income students; Every Student Succeeds Act’s impact on students with disabilities; IDEA compliance; IDEA underfunding; and the segregation of students with disabilities), and one on the sexual assault of students with disabilities on college campuses. All our available on our website at www.ncd.gov. Even though each of these reports has come out in the last month, the work for each began well over a year ago. Two more reports we will release in March – one on disability and foreign policy and another on guardianship – were similarly begun well over a year ago. For NCD’s research to advance, we need the investment of the disability community and stakeholders more broadly to engage in the conversation regarding issues of greatest concern to our community on which NCD should focus. It’s your turn. Which of these is most important? Given that NCD has limited funds, which of these would you recommend we fund? Tell us. Come join us. Explain why one is more important than another. Access Board’s Conference Room, 1331 F Street, NW, Suite 800, Washington, DC 20004. Buses: A9, D6, 54, 59, 80, G8, X9, 63, 64, P6, X2, X9. Check WMATA Rider Guide for specifics. The phone lines for the meeting will be opened during this time to receive public comments by phone. The call-in number is 1-888-599-8667; Conference ID: 9890793; Conference Title: NCD Meeting; Host Name: Clyde Terry. To better facilitate the phone and in-person public comment, we ask that anyone interested in making public comment register his or her intent in advance by sending an email to PublicComment@ncd.gov with the subject line “Public Comment” and your name, organization, state, and intent to make comment in the body of the email. We ask that all emails to register for public comment be received by close of business on Wednesday, March 7 (the day before the meeting). We also welcome your opinions on these topics before the meeting, which you can send to the same email address (PublicComment@ncd.gov). If you do not plan to join us or provide any comments at this time, please consider doing so in the future. We want you engaged as part of this process from the beginning as a critical stakeholder. Your input is critical to the Council’s mission.